We switched up the agenda and enjoyed a game of “The Price is Right”. 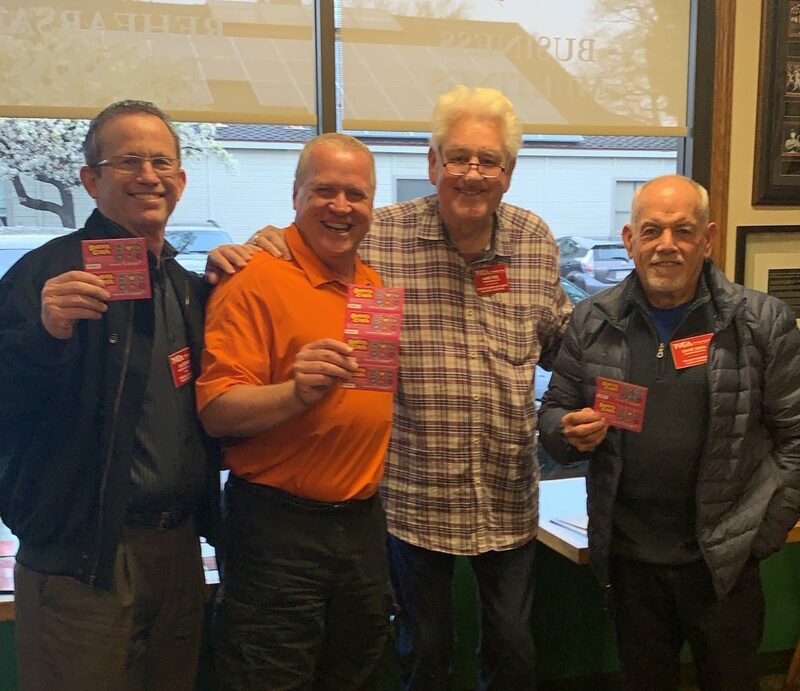 Dave Jones, Dave Silva and Jim Rowse won lottery tickets. NEXT MEETING: The next meeting of the Tri-Valley Executives’ Association will be held on Thursday February 7th at Vic’s All Star Kitchen at 7:00am. GREETERS: Thomas Tong of Thomas Watch Repair and Manny Martin of Amador Property Management. Feb. 13th: Pleasanton Chamber of Commerce *If you would like to donate something to our Raffle Prize bring it to Thursdays meeting. Pot Report: The pot of the TVEA 50/50 Raffle is up to $125 with 9 white marbles ($5), 5 blue marbles ($10) and 1 red marble (takes the “pot”).